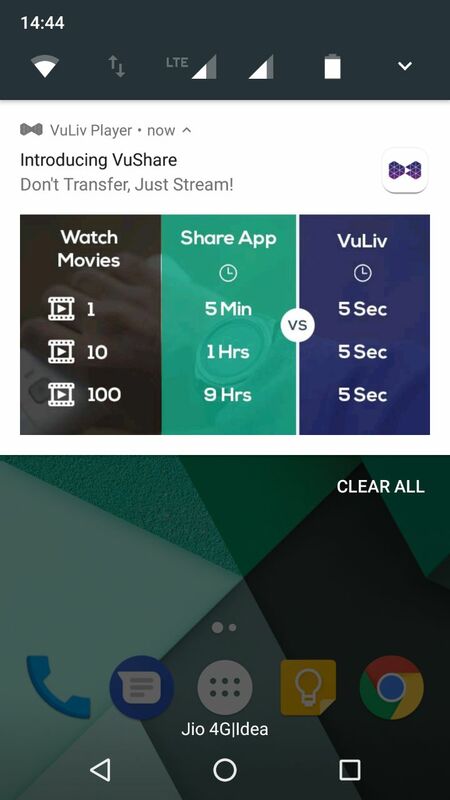 Home Uncategories Introducing VuShare – Don’t Transfer, Just Stream! Guys, have you been receiving such notifications? Well, if you’ve been, then you are amongst those few lucky people who have a chance to experience first of its kind technology break through! VuShare is that feature of your favourite Media Player, VuLiv where you can stream videos from your friend’s offline gallery on your device without internet and without actually transferring files! Sounds exciting, right?